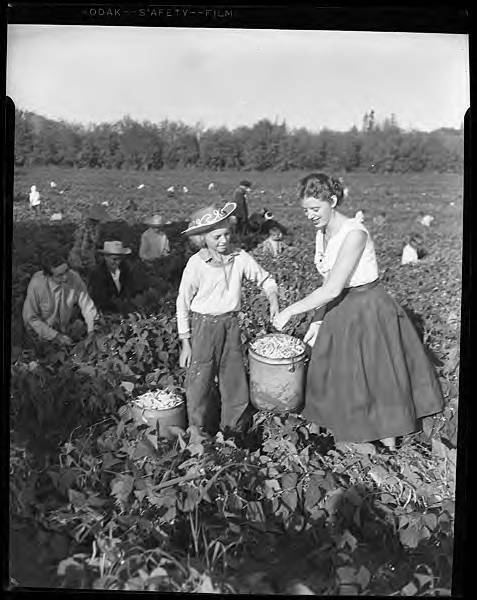 Black and white image of a child and a young woman holding a bucket of beans. The child wears pants and a shirt and a cowboy hat. People of all ages can be seen picking beans throughout the field behind the pair at the center of the image. Museum records identify this location as the Carothers & Son farm, near Cornelius, Oregon.